Converted to crewed Daimler operation. Single Deck Leyland Nationals introduced. 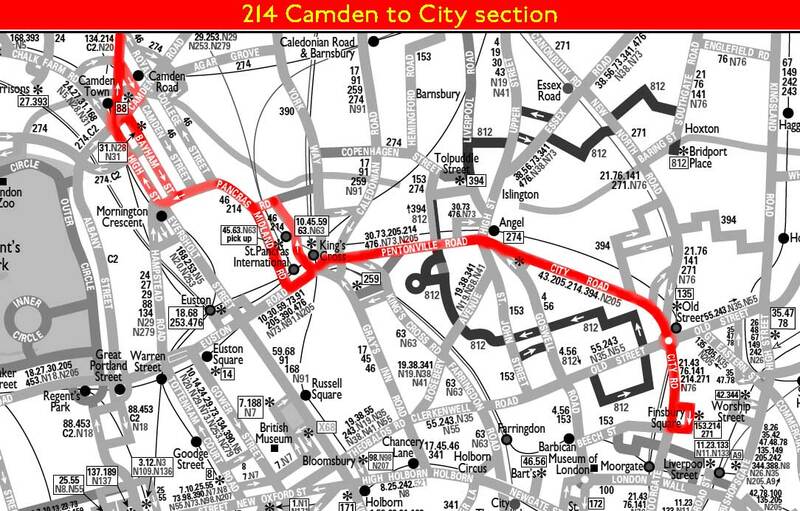 Mon-Fri extended from Moorgate to London Bridge Station via Route 43. Leyland National operation ceased. Revised to run at all times to Liverpool Street but via Eldon Street instead of London Wall - the London Bridge spur withdrawn. Extended from Parliament Hill Fields to Highgate Village. Due to Roadworks at Liverpool Street Bus Station - buses now terminate at Finsbury Square. Reinstated back into Liverpool Street Bus Station - service now 24 our as "N" prefix has been dropped. Start of phased conversion to DLD type.